Sponsored by World Meteorological Organization (WMO) and China Meteorological Administration (CMA), cosponsored by WMO East Asian Monsoon Activity Center/BCC, and hosted by the Beijing Climate Center of CMA, the Fourteenth Session of the Forum on Regional Climate Monitoring-Assessment-Prediction for Asia (RAII) was successfully convened during 24-26 April 2018 in Nanning, China. During the opening ceremony, Dr. Song Lianchun, Director-General of BCC, Mr. Liu Jiaqing, Director-General of Guangxi Meteorological Service,, made address respectively. Dr. Song indicated that, last May, the Letter of Intent between the World Meteorological Organization and the China Meteorological Administration to promote regional meteorological cooperation and co-build the Belt and Road was signed by Administrator of CMA and Secretary-General of WMO. In the letter, WMO encourages CMA to play an active role in the regional meteorological cooperation through relevant programs and mechanisms. This forum is also a practical attempt of the above spirit. 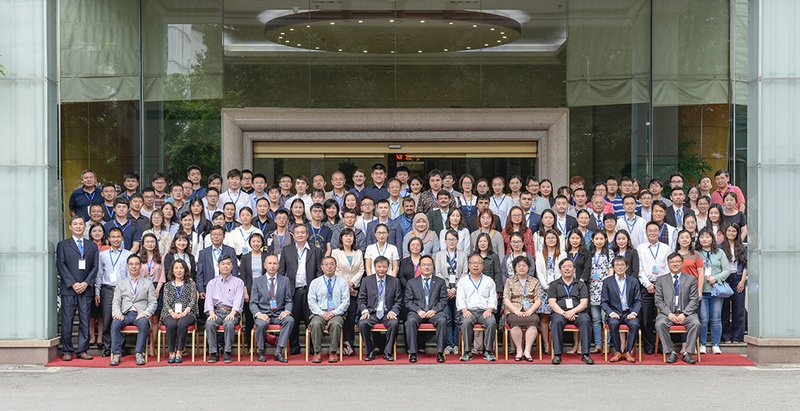 Mr. Liu said that this session of FOCRAII being held in Nanning will be a good opportunity to bring the meteorological service in Guangxi to a new high, and hoped meteorological researchers in Guangxi would cherish this rare opportunity of learning so that they can make new contributions to the development of Guangxi's meteorology. The Forum discussed the outputs from various climate predictionmodels (BCC/CMA, JMA and KMA) and used these outputs, to produce a most likely seasonal climate outlook (attached as Appendix I to this report) for the RA II region for summer (June-July-August) of 2018. The outlookwas also partly based on the predictions by the participants from Afghan, China, China Hong Kong, China Macao, India, Indonesia, Japan, Kazakhstan, Republic of Korea, Malaysia, Mongolia, Pakistan, Thailand and Viet Nam, for their own countries/regions with various statistical and dynamic methods. Indeed, several suggestions have been discussed to improve the prediction by taking into account of model skills, regional patterns, etc. It is agreed that KMAwill host the 6thEASCOF(East ASia winter Climate Outlook Forum) which is formerly the Joint Meeting for the Seasonal Prediction of the East Asian Winter Monsoonin either late October or early November of 2018.